Founder and owner of Sky World Aviation, Colonel Ronald Gatewood has nearly 13,000 hours of flight time as "pilot in command". He is rated in single and multi-engine fixed wing aircraft, single engine retractable gear, tailwheel, rotary wing, seaplane, turbo props and jets. His maintenance experience is vast and global. his greatest desire is to keep pilots and planes flying safely and pass along his experience to the next generation of aviators and mechanics. While still active duty, Colonel Gatewood's last assignment with the Marine Corps was as the Senior Marine Planner in plans, policies, and operations at HQMC in Arlington, Virginia, where he assisted in the development of plans and policies for the Commandant of the Marine Corps and the Joint Chiefs of Staff. Always having a passion for flying, Gatewood combined his passion, talent, and experience in aircraft maintenance into a small aviation business that started with the founding of Sky World Aviation Inc. at the Warrenton-Fauquier airport in Midland, Virginia in 1991, and managed Fauquier County's airport. Since 2000, Ronald has devoted his efforts toward expanding and developing Sky World as a leading operation in aircraft maintenance and management. The company currently manages King Airs, and other general aviation rotor, fixed blade, and part 135 aircraft. Before Sky World Aviation's inception, Ronald performed 34 years of decorated service in the United States Marine Corps which included a combat tour in Vietnam, flying CH46 Boeing vertical helicopters, and a second combat tour flying the McDonnel Douglas A4 Skyhawk. In addition to being a squadron pilot, as a Lieutenant gatewood was an Operations Officer in HMM 262. In VMA 211, Captain Gatewood was the Aircraft Maintenance Officer. After an assignment as an instructor with Landing Force Training Command - Pacific, he served as a Naval Attache with the US Department of State in Africa. Lt. Col. Gatewood's squadron command was with Marine Air Base Squadron 12 in Iwakuni Japan, where he was Acting Grou Executive Officer. Lt. Col. Gatewood had a second joint assignment as Director of Logistics (J4) for US Southern Command. During that time he participated in the planning for the withdrawal of US forces from Panama and for Operation Just Cause. 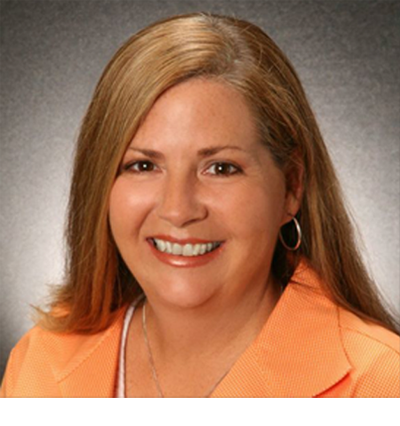 Board of Directors, Earthwalk Communications, Inc.
Former Board of Directors, AirServ International, Inc.
Kelli Gatewood holds a Bachelor's of Applied Science in Management and possesses many years in the real estate and hotel marketing industries. She has brought her working knowledge of sales, marketing, and brokerage, as well as business administration and customer service to Sky World Aviation, allowing her to excel in her position. Raised in a military family, Kelli grew up learning the aviation industry from her dad, Ron Gatewood, and his passion for aircraft. Her diversified and working knowledge of multiple, complex industries allows her to help Sky World provide all of their clients with the best quality service in the industry. All employees are thoroughly screened and trained to provide the most positive experience and the greatest quality service for Sky World's clients. Richard holds a Bachelor's Degree in Aviation Management and continued his education in Advanced Business Studies, Parts A&B of CIS course. He also excelled in numerous other courses at the M and O levels of the Associated Examination Board, UK. 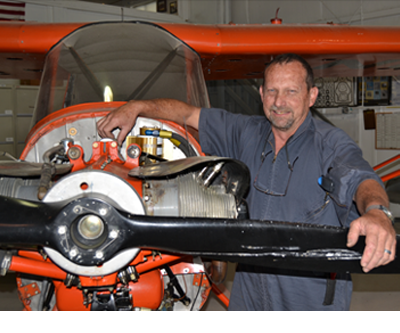 He began as an aerial photographer in 1982, but in November 1983 he furthered his career as an Aircraft Maintenance Engineer with companies such as Aerotech (Private) Limited, Motavia Airlines, and S.A. Airlink. Richard continued this role through boh private and major airlines for the next 14 years. He was promoted to Crew Chief in 1996 with Motavia, and progressed through his career to standing Chief Mechanic at Sky World Aviation. Richard holds certifications with S.A. CAA, as well as the US FAA A&P. 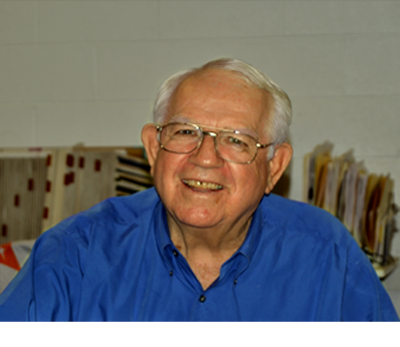 He possesses extensive experience and is certified to maintain Cessna, Piper, Beechcraft, King Air, Mooney, and Boeing airframes, to name a few, as well as rotor wing aircraft. Furthermore, his certifications and experience allow him to service Contenental, Lycoming, and Pratt and Whitney piston engines, along with Garret and Pratt and Whitney turbine engines. Zachary Gatewood was born into aviation. Ron Gatewood, Sr. is his grandfather. Ron Gatewood Jr., his father, an A&P with IA credentials, raised him in the aviation maintenance shop. By the age of 24, Zach earned his A&P certificate. He was instrumental (pun intended) in helping Sky World launch their FAA Avionics Repair Station. 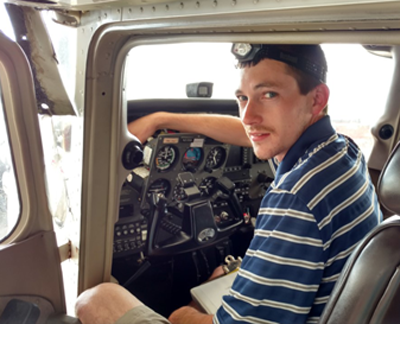 Zachary has had the best hands-on training throughout his career, in addition to numerous other achievements and certificates that include FAA courses: RVSM Maintenance and Advanced Transponder Training; Basic Wiring and Avionics Installations; Pitot Static and Transponder Certification Training, and ADS-B implementation. Lafayette Avionics provided hands-on training in STEC Autopilot installations. He has also attended the Navigation Systems Line Maintenance & Testing, and Digital Databus Theory and Analysis AEA (Aircraft Electronics Association) courses.